THIS DRESS SOLD. CONTACT SALES@BRIDESFORACAUSE.COM WITH INQUIRIES. 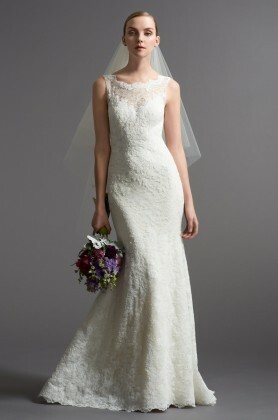 This gorgeous style is created from a rich lace appliqué on soft net. 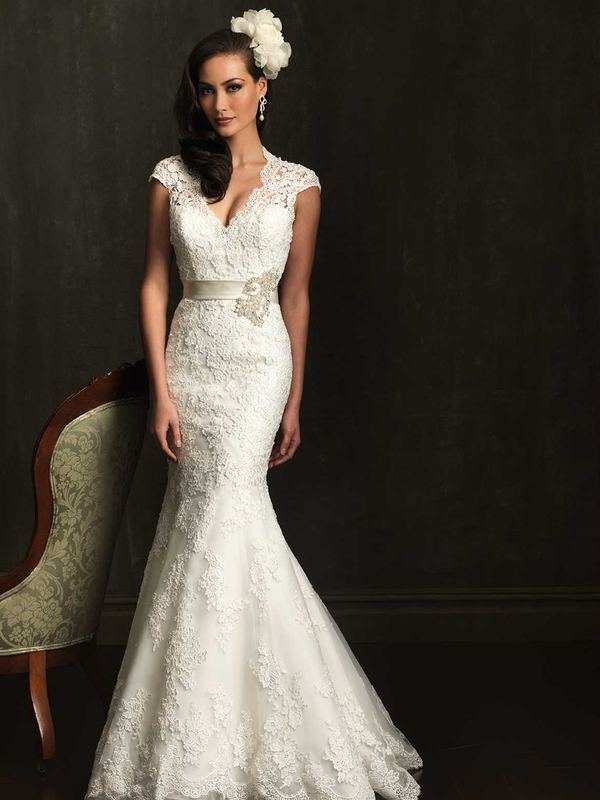 The sculpted neckline features scalloped cap sleeves and a keyhole back. Dress is a damaged sample, inquire for further information. Sash not included.